Bro. Stan and Mrs. Spring Wood are the founders of Camp Hosanna in Hiawassee, GA. 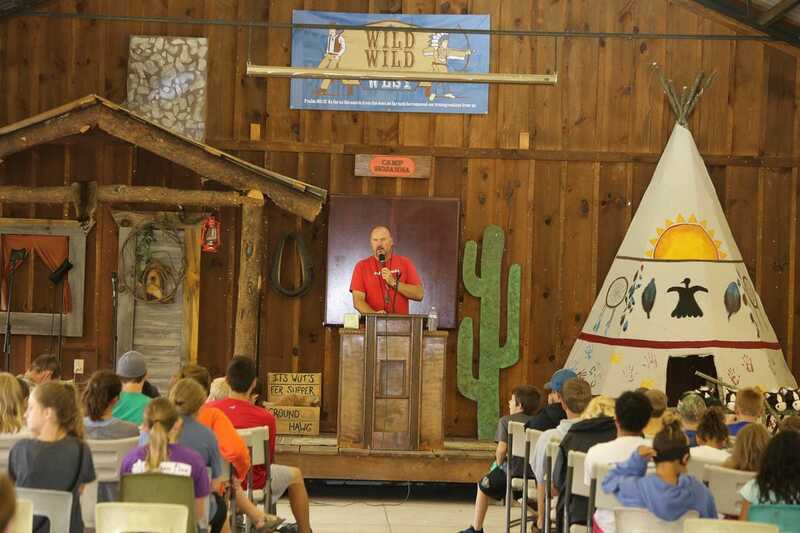 The camp was started in 2003 with a vision to reach the lost children in our area at no cost to them. It was said that this could not be accomplished. They were told the cost was too high, how would they feed them all? But we know our God can and will supply every need!! The Lord has proven that if you have a willing heart and fully trust Him.....HE WILL SUPPLY! The camp had a meager beginning with campers and counselors in tents, but through the support of many churches, prayers of people all over the country and through The Lord's help, the camp now has 12 Cabins for campers, a 2-story house for Evangelists, a double sided bathhouse, a large pavilion for services and activites, a full commercial kitchen, and a 7,200 square foot building under construction to be a Dining Hall and dorm style rooms. Being true to their vision they host 8 weeks of camp through the summer months with an average of 125 plus young people every week, with junior and teen alternating weeks COMPLETELY FREE of charge. The Lord has certainly blessed their efforts by over 1100 professions of faith to date with many dedicating their lives to the Lord's service.